Your donation helps to train young Inuit leaders and to give them hope and a future. 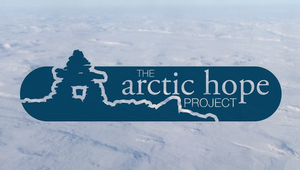 The Arctic Hope Project was birthed with a vision to reach Inuit youth whose potential has been limited because of past traumas, addictions and despair. We believe that, through the ministry of the Arctic Hope program and the transforming power of God, the epidemic of suicide can be virtually eradicated in Nunavut, and young people will begin to believe there is hope for their future. God bless you as you invest in these precious lives who desperately need to know they are loved.